What is the function of a diode in the circuit? It simply act as a switch to pass current only in one direction from Anode to Cathode. So it is essential in all most all circuits. Diodes are semiconductor devices with a p-n junction to allow the one way flow of current. This condition is the forward biasing. If the current flow is reversed, the diode enters into the reverse biased mode and prevents the flow of current. Diodes perform many functions in an electronic circuit like rectification, clamping, protection, voltage multiplication, signal detection etc. 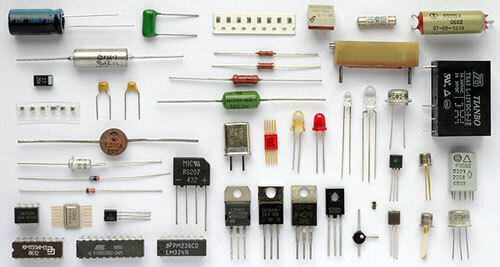 Major types of diodes are power diodes, signal diodes, zener diodes, photo diodes, LED etc. Schottky diodes are fast recovery diodes ideal for switching applications. Diode Pump is a rectifier circuit that makes a varying AC signal output to a DC voltage relative to the peak-to-peak voltage across the AC waveform. 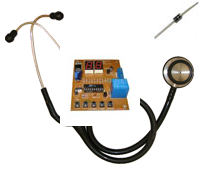 Diode pump can be used to switch on a driver transistor or to give in digital or analog circuits for DC measurements. The design note given here explains the working of the diode pump.